Do all Paint horses have to be tattooed? Registered American Paint Horses that are preparing to race are required to be tattooed. The tattoo is placed on the upper lip, and is a sequence of 5 digits. What are the requirements that must be met before I can have a horse tattooed? All American Paint Horses foaled in 2003 or after must be parentage verified before they can be tattooed. The parentage verification emblem, (a star with parentage verification written in a circle around the star), can be located in one of two places. Either directly to the left of the horses photograph or between the sire and dam pedigree box. The cost for a tattoo is $60, made payable to the American Paint Horse Association. The tattooer will collect the money and forward the tattoo information along with a check or money order to the APHA Racing Department. APHA does not authorize the tattooer to charge more than the required $60 tattoo fee. Once this information is received the tattoo number is recorded in the horse’s permanent registration files. A $20 recording fee will be charged by APHA for all double-registered race horses that have an AQHA tattoo number. How do I find a tattooer? Most tattooer’s will provide the racetrack with their schedule. A list of tattooer’s by State is provided below. Do I have to race my horse if I want my horse tattooed? Any horse can be tattooed for identification purposes. An APHA approved tattooer does not have to tattoo the horse for identification purposes, All racehorses must be tattooed by an approved APHA tattooer. 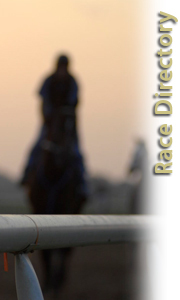 You may direct any questions to the Racing Department of the American Paint Horse Association at (817) 222-6444. All horses foaled in 2003 or after must be parentage verified before they can be tattooed or raced. The cost of a DNA kit is $60.00. The dam must have DNA on file before the resulting foal can be parentage verified. The sire is required to have DNA on file before breeding. If the dam does not have DNA on file a kit can be ordered at the same time. For more information contact the field services department at (817) 834-2742, ext. 777.